The truth is absolutely, undeniably, out there and the aliens have undeniably been here. This has been an area that I have taken intrinsic interest in for some time now and it is necessary to believe that not only do aliens exist, but they have visited Earth not once, but multiple times. Now, let’s put to the side that X-Files is my favorite show and let’s leave my love of Tralfamadore out of this discussion. The Fourth Kind is terrifying and not true (not literally true). Also, I will not cite Ancient Aliens from the History Channel. The preoccupation with extraterrestrials visiting Earth is a fundamental idea that seeks to answer the question, “Are we alone?” A look at the stars says we are not. The sheer number leaves the door wide open that there is living intelligent or not-so-intelligent life out there. Astronomers today use Frank Drake’s equation to determine life in our Milky Way Galaxy alone and though the results are varied; the odds favor other life is indeed out there. And that’s just our galaxy. Humans are always searching for the next bold frontier. It is our nature. The search for extraterrestrial life is a fundamental and necessary search that humans cannot help but undertake. It’s human nature at work. But did extraterrestrial life forms ever visit Earth? This is a question that can never truly be proven as a definitive “yes” or a definitive “no.” It all comes down to belief in the evidence and whether one “wants to believe” or doesn’t “want to believe.” Skeptics see the evidence and write it off as nonsense, people who believe we are not alone and have been visited see evidence and believe it. A skeptic will always see what’s been proven false and a believer will always see what can’t be disproven. UFO sightings and alien abductions are the stuff of rednecks and crackpots. This is the stuff of the paranoid and the crazy. But, underneath all the doubt and skepticism lies room for debate. There are multitudes upon multitudes of cases spanning not just 70 or 80 years (since the UFO fascination began in the 1940s) but since the very dawn of civilization itself. Records of extraterrestrial visitors are found in cave art, ancient texts, the bible itself as well as in works of art. Photographs of UFOs and reports of strange phenomena are all out there to be found. For every case disproven, there is at least one that lies unsolved. The first case I want to point to is perhaps the most well known case of a downed UFO and recovered alien bodies: The Roswell Incident and Area 51. This arguably started the infatuation with UFO sightings, but this case also stands out in the level of government secrecy surrounding the event and the action taken following the event. In July 1947 something crashed in the New Mexico desert outside of Roswell. On July 8th, 1947, the Roswell Army Air Field (RAAF) reported capturing a flying saucer and it was widely reported in the newspapers. They transported the wreckage to a top-secret Air Force Base, Area 51. Following the event, Major Jesse Marcel, who was involved with the original clean up, reported that alien bodies were recovered and taken away by the government. Following the crash of the UFO, Harry S. Truman issued the Majestic-12 Documents. 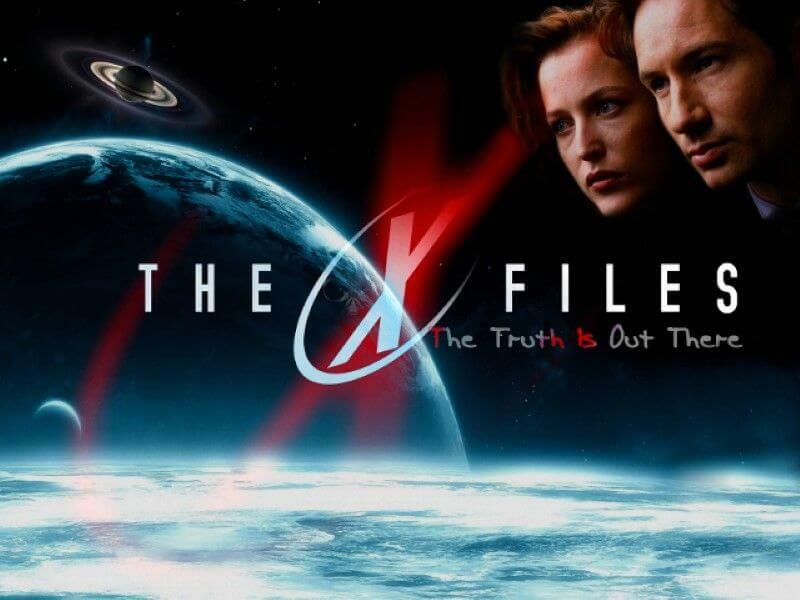 The documents were government protocol for dealing with downed UFOs, in particular the crash at Roswell, as well as handling extraterrestrial entities found in the wreckage. A briefing to the incoming President Eisenhower included a documents list of all persons associated with the Majestic-12 report as well as a briefing on the recovered aircraft from Roswell and one other recovered craft found in northern Mexico in December 1950. The Majestic-12 documents led to the now-decommissioned Project Blue Book that was the United States Air Force’s official investigation into any and all UFOs, downed UFOs and extraterrestrial entities.Project Blue Book was reviewed by an ad hoc committee headed by Carl Sagan. The purpose was to put the documents under a more rigorous scientific investigation. The conclusion was that all the unidentified flying objects, whatever they were, did not behave in a manner that threatened national security. The review did not discredit the documents. Project Blue Book was reviewed by an ad hoc committee headed by Carl Sagan. The purpose was to put the documents under a more rigorous scientific investigation. The conclusion was that all the unidentified flying objects, whatever they were, did not behave in a manner that threatened national security. The review did not discredit the documents. The official documents and government memos concerning the UFO phenomena and extraterrestrial visitors to Earth points to an attempt to discredit public accounts of such things while placing serious emphasis on research and dealing with encounters. Cover-ups such as this have been going on in the United States government for years; even Bill Clinton showed an interest. There is a truth that is being concealed in plain sight. Does that sound too paranoid? Sorry. The Phoenix Lights was a phenomenon that was witnessed by hundreds of people in the Arizona skies. It was witnessed and addressed by the governor of Arizona and it is an extremely well documented case. The most well-known and documented occurrence of the lights occurred on March 13, 1997. Hundreds of people saw what has been referred to as a “parade” in the skies over the Phoenix area. Between 7:30 pm and 10:30 pm, hundreds of people witnessed lights pass over the state in a triangular formation in the space of 300 miles. The case for many was undeniable proof of extraterrestrial visitors. A case such as this is important because it is not just the word of one person, but it is the word of hundreds of first-hand accounts. Regular people living in a metropolitan area witnessed a triangular shaped object slowly move over the state. Just this past March, another case of lights over Phoenix were seen and documented with no official explanation as to what they were. It is a bizarre case and it is certainly one that deserves careful consideration before dismissing it as weather balloons or flares. It is also worth mentioning that extraterrestrials have been visiting our planet and interacting with humans for thousands of years. The “ancient astronaut” theory points to evidence of remarkable human achievement that could seemingly not be done without the aid of an advanced entity. The Nazca Lines in Peru are hundreds of gigantic carvings in the ground that portray various animals and designs that are only visible from the sky. The freestanding stones at Stonehenge, the pyramids, and the statues at Easter Island all seem to be larger-than-life creations given the technology available when they were created. Theorists claim that extraterrestrials had a hand in the creation of these ancient structures and they were created in a sort of homage to the extraterrestrials. The bible also makes references that seem to point to extraterrestrial visitors in the Old Testament and the Vatican has come out in support of the idea of extraterrestrial life. What secrets does the Vatican Library and Conservatory hold? We may never know. Skull-elongation in ancient Egypt is also seen as a means to emulate extraterrestrial visitors or they are said to have been alien-human hybrids living and breeding here on Earth with humans. According to alien abduction accounts, the “grays” (the conventional image of an alien when you think of one) are often depicted as having an elongated skull and large eyes. One of the most well-documented and researched abduction cases is the case of Betty and Barney Hill in New Hampshire in 1961. The Hills were among the first to offer a description of alien visitors in this way. The Hill’s case is perhaps the most well-known and well-researched abduction case. It is a notable place to begin research into alien abductions and there is a great deal of evidence that lends truth to the Hill’s claims; frozen time, reoccurring dreams, hypnotism and all. The truth of it all is that there is so much out there to look through and so much to include in this discussion. There is plenty to bring up when making the case for extraterrestrial contact on Earth and it takes a certain interest in the subject to want to look further. There are truths being kept that still need to be found and understood. Abduction cases, ancient marvels, UFO sightings and extraterrestrial encounters are happening everyday. It is simply human nature to take these into account and wonder, “Are we alone?” The next great frontier is always at the forefront of our endeavors and humans have been forging ahead at the top of the pyramid for a long time now. It is a natural wonder to feel that there is something out there watching us and waiting, slightly ahead of the curve for us to come around. The truth is out there and the evidence is here. Let human nature do its thing and find it.